As we age, effect weight loss is difficult even with good diet habits and regular exercise. Our energy levels decrease and metabolism slows. 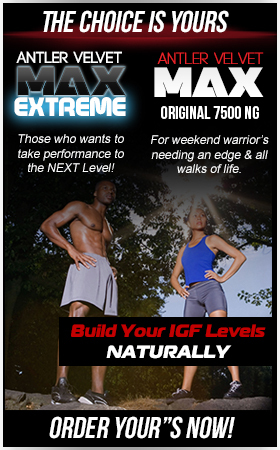 Our Antler Velvet Max Product Line with IGF-1 Can help support a Healthy Weight Loss Strategy. 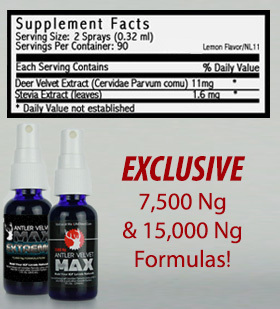 The MaxLife Antler Velvet Max product uses a patented Lipo Gastric Delivery Systemô (LGDS) which allows faster delivery and greater bioavailability and longer duration of nutrient action. This has a distinct advantage over tablets, capsules and powder products. Energy levels decrease with aging. But not so when you take Antler Velvet Max! It is known to boost both energy and sexuality of males and females irrespective of age. 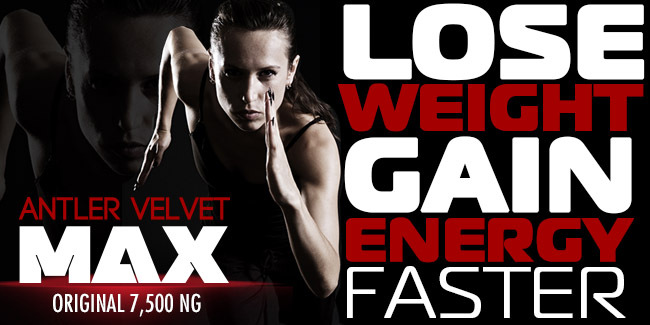 Finally, deer antler velvet is a wonderful stress reliever that dramatically improves sleep and whole-body rejuvenation. Due to so many fantastic properties, it's a must for everybody, particularly those who are keen to defy aging and stay younger and more active.